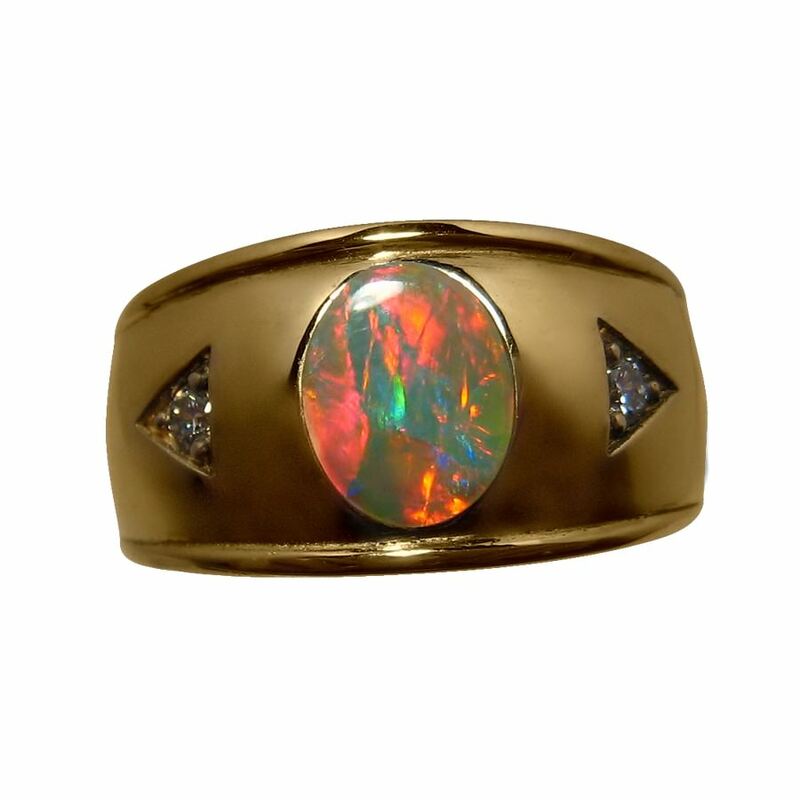 A classy Opal ring for men with an oval Red Opal in a 14k Gold wide band accented with Diamonds. 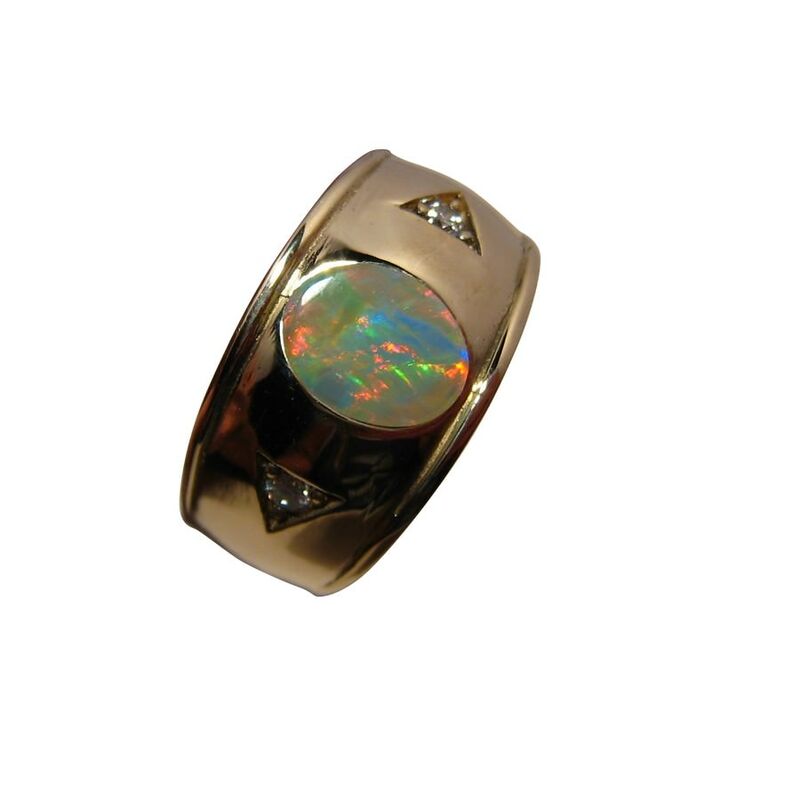 A quality Opal ring for men that is classy and stylish. 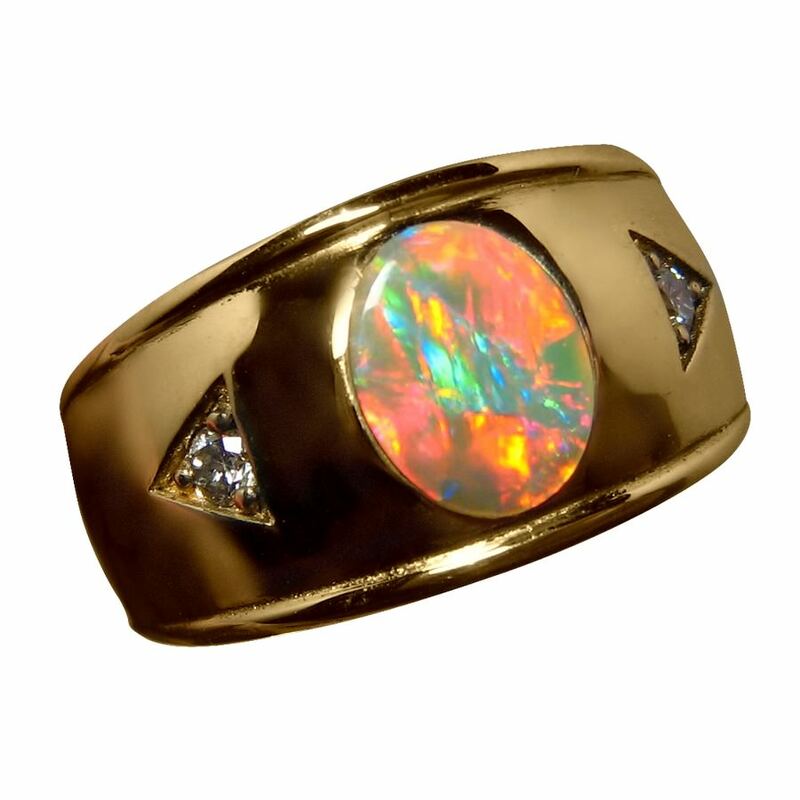 The 14k Gold ring, shown in Yellow Gold, is wide at 11.4 mm and is set with an oval Lightning Ridge gem Black Crystal Opal that flashes a mix of bright colors but mainly Red and the video below will show the play of color in the Opal and high shine of Gold. 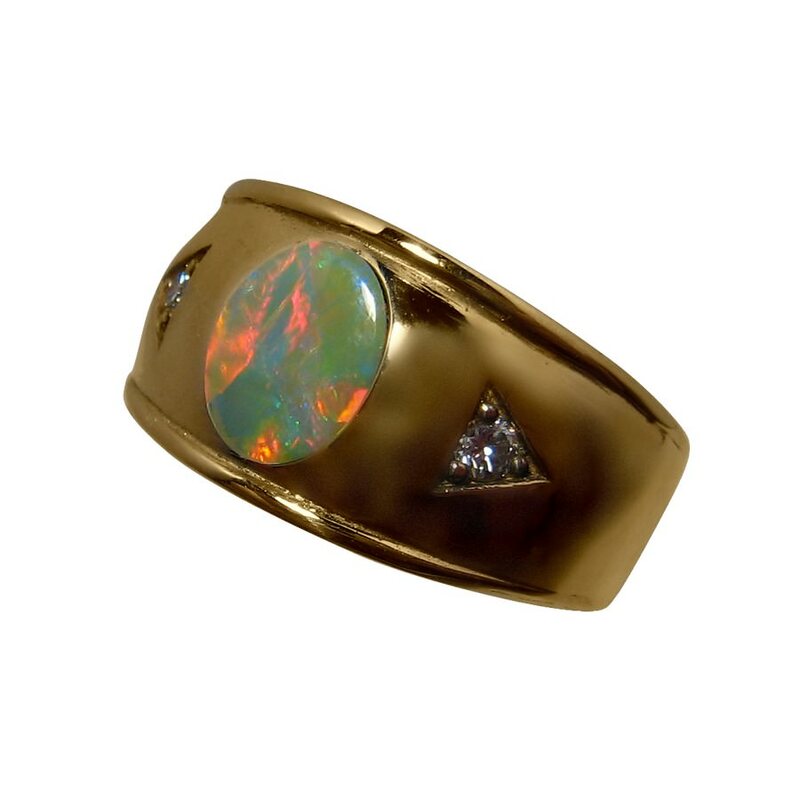 The ring weighs over 10 grams of 14k Gold and is accented with a top quality 2.5 mm Diamond on each side of the Opal making this a fabulous mens Opal ring that will be noticed and admired. This stylish Opal ring is ready to ship as detailed below or will take about 7 days for any other ring size or change of Gold color.